Win a COLOSSAL Trip to Austin! 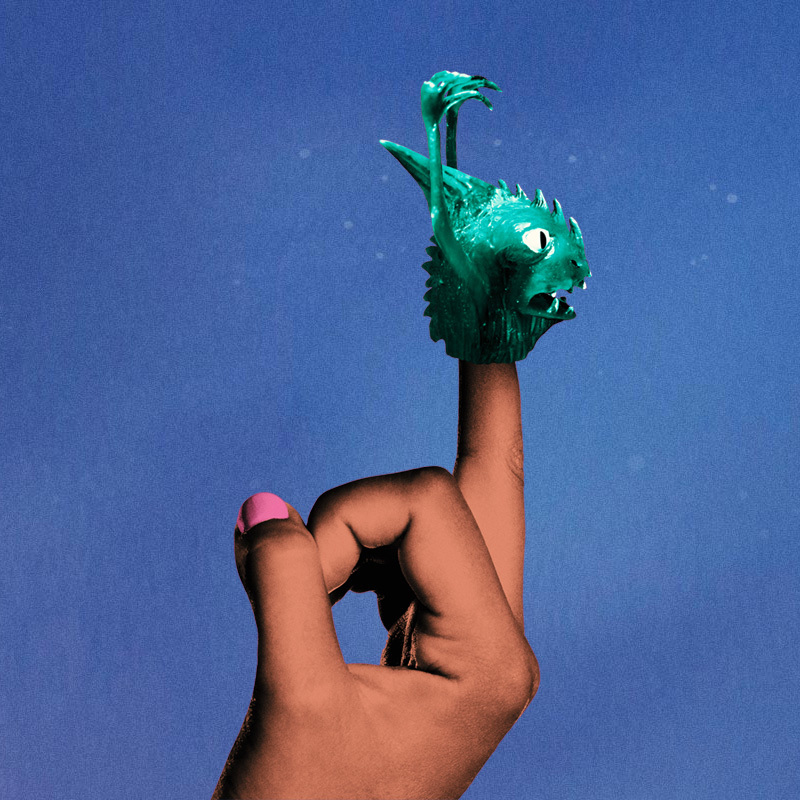 Take a photo with your finger puppet monster in the weirdest, wildest and coolest location and hashtag it with #sheiscolossal for a chance to win a trip for two to Austin! Finger monster puppets will being given away at our opening weekend screenings until supplies last. NO PURCHASE NECESSARY TO ENTER OR WIN. A PURCHASE DOES NOT INCREASE CHANCES OF WINNING. ODDS OF WINNING DEPEND ON THE NUMBER OF ELIGIBLE ENTRIES RECEIVED. VOID WHERE PROHIBITED. The NEON “She is COLOSSAL Finger Puppet” Contest (“Contest”) begins at 12:00:00 AM Eastern Time (“ET”) on April 3, 2017 and ends at 11:59:59 PM ET on May 1, 2017 (“Contest Entry Period”). The Contest is open only to legal residents of the 50 United States and the District of Columbia (excluding Puerto Rico and all other territories), who are 21 years of age or older and have a current and valid driver’s license or state ID. Employees, agents, officers and directors Neon Rated LLC (“Sponsor”), it’s respective parents, affiliates, subsidiaries, franchisees, divisions, advertising, promotional, fulfillment and marketing agencies, their immediate families (parent, child, sibling or spouse) and persons living in the same households as such individuals (whether related or not) are not eligible to participate in the Contest. 2. HOW TO ENTER: There are three (3) phases to the Contest: Phase 1: The Contest Entry Period; Phase 2: The Contest Judging Period; and Phase 3: The Grand Prize Winner Announcement. Phase 1: Contest Entry Period: The Contest Entry Period begins at 12:00:00 AM (midnight) Eastern Time (“ET”) on April 3, 2017 and ends at 11:59:59 PM ET on May 1, 2017. Entries received after the Contest Entry Period are void and ineligible for consideration by judges. To enter, please follow these instructions 1. Place monster puppet on finger 2. Take a photo in the weirdest/wildest/coolest location 3. Post your photo on social account with #SHEISCOLOSSAL. Only entries with this hashtag will be eligible. Twitter and Instagram posts with the hashtag #SheIsColossal will populate onto the sheiscolossal.com website where they will be viewable by the public and contest judges. By your submissions, you represent and warrant that they are your own original creation, you own all the rights to the submitted materials, you have acquired permission from all other persons who may appear in the submitted materials, the submissions do not contain illegal, dangerous, or unsafe activity, do not disparage competitors, do not involve drug or alcohol use, are intended for family audience viewing, and have not been copied in whole or in part from any other work and do not violate or infringe any copyright, trademark or other proprietary right of any person or entity (including any rights of privacy or publicity). Sponsor has the sole and unfettered discretion to determine whether submissions are suitable for all persons over the age of 13, are sexually explicit, disparaging, libelous or otherwise inappropriate; promote any product or services of competitors; and contain copyrighted work. Sponsor in its sole discretion may decide to disqualify the entry. Once submitted, the essay and/or video becomes the exclusive property of the Contest Entities and will not be returned. By entering, you grant Neon Rated LLC and its subsidiary companies and anyone it may authorize permission to display your essay and biographical information on sheiscolossal.com. Winner agrees to allow the use of his/her names, likeness, and/or voice in publicity or advertising concerning this promotion without compensation. No photocopies, facsimiles, or other mechanical reproductions of entries are allowed. Altered, defaced, mutilated, illegible, or incomplete entries are ineligible. Entrant agrees and acknowledges Sponsor may have access to material that is similar or identical to Contest Material and that the Entrant may not be entitled to any compensation for any use of Sponsor of this similar material. Reproduce, encode, store, modify, copy, transmit, publish, post, broadcast, display, publicly perform, adapt, exhibit and/or otherwise use or reuse (without limitation, as to when or to the number of times used), the Entrant’s submitted name, address, image, likeness, statements, biographical material in contest promotions. Use the Contest Entry Materials for advertising, promotion or commercial purposes and the right, without limitation, to publicly display, reproduce and distribute the Contest Entry Materials in any media format or medium and through any media channel. Allow access to material via RSS or any similar feed. Forfeit rights of privacy, intellectual property rights or other legal or moral rights that would preclude Sponsor or affiliates from using the Contest Entry Material for promotional purposes and agrees to never sue or assert any claim against the Contest Entities’ use of those Materials. The Contest Entities shall have the right to disqualify any entries that they deem to be obscene, vulgar, sexually explicit, lewd, derogatory, inappropriate, or otherwise not in good taste, as determined by the Contest Entities in their sole discretion. Phase 2: Contest Judging Period: The Contest Judging Period begins on April 3, 2017 and ends on May 1, 2017. Neon Rated LLC (“Judges”) will review all submissions and select a total of (1) Grand Prize Winner. The winner will be selected on the basis of their picture’s originality, style and creativity. At the time of selection, the Judges will rank the top candidates so that in the event that the winner cannot participate for any reason, an alternate winner may be selected. The decision is at the discretion of the Judges and will be final and binding. The Grand Prize Winner will be notified and announced by May 8, 2017. 3. CONTEST PRIZES: Sponsor will award two (1) Grand Prize package. The Grand Prize is as follows: a trip for the winner and one guest to Austin, Texas. that will include one round trip airplane ticket each from a major airport within the 50 United States to Austin, TX, transportation between the airport and Austin, lodging for 2 nights, a visit to the Alamo Drafthouse and Midnight Cowboy bar, and a per diem to cover trip-related meals, transportation and other out-of-pocket expenses of Neon Rated LLC’s choosing. The Total ARV of the prizes is $2,500. No substitution of prizes, except at the discretion of Neon Rated LLC. Prizes may not be redeemed for cash value. If the individual selected declines to participate or is unable to fulfill Contest requirements or if, by reason of accident, illness or emergency, the person is unable to travel or must return home early, or if the individual’s participation is terminated by Neon Rated LLC prior to trip completion, there will be no cash compensation. 4. PRIZE AWARDING: The Contest Entities will award prizes only upon winner confirmation, verification and final approval. No substitution, transfer of any prize or cash alternative permitted, except by one of the Contest Entities who reserve the right, in its sole discretion, to substitute a prize of equal or greater value, if prize, or portion of prize, becomes unavailable. The Grand Prize Winner may be notified by phone or e-mail and will be required to be available for travel Between May 1 and June 30, 2017, to sign a Liability and Publicity Release, to present proof of age (drivers license, passport). The prize winner must agree in writing that Neon Rated LLC and anyone they may authorize, may without compensation publish, display and otherwise use winner’s name, photograph or other likeness, biographical information and statements concerning the Contest for purposes of advertising and promotion without additional compensation. The potential winner then and only then becomes the “winner”. Neon Rated LLC reserves the right to revoke the prize in the event of material misrepresentation. If the potential winning entrant of any prize cannot be contacted; is ineligible; fails to return the completed and executed Affidavit and Release; if the Prize Notification is returned undeliverable; or if the potential winner otherwise fails to fully comply with these Official Rules, he/she will forfeit that prize and the prize may be awarded to an alternate winner as selected by the Contest Entities. Neon Rated LLC reserves the right to cancel or reschedule the trip, in whole or in part, in its sole discretion, as well as the right, in its sole discretion, to dismiss the winner from further participation in the trip as a result of conduct that is considered improper or offensive to the local community, is likely to be detrimental to the health or safety of the winner or other individuals, or demonstrates that the individual is not capable or unwilling to participate fully in the trip experience. If any activity relating to any prize is canceled or postponed for any reason, the balance of that prize will be awarded in full satisfaction of prize award. 5. GENERAL CONDITIONS: The Contest Entities are not responsible for technical failures of any kind, including but not limited to the malfunctioning of any computer, cable, network, hardware, software or web site. The Contest Entities are not responsible for lost, interrupted or unavailable network server or other connections, miscommunications, failed telephone or computer or telephone transmissions or technical failure, jumbled, scrambled or misdirected transmissions, for incorrect or inaccurate entry information, howsoever caused, or other error of any kind whether human, mechanical or electronic. Entrants found tampering with or abusing any aspect of this Contest, as solely determined by the judges, will be disqualified. If disqualified for any of the above abuses, the Entities reserve the right to terminate entrant’s eligibility to participate in the Contest. Any attempt by any person to deliberately undermine the legitimate operation of the Contest may be in violation of criminal and civil law, and, should such an attempt be made, the Contest Entities reserve the right to seek damages from any such person to the fullest extent permitted by law. The Contest Entities’ failure to enforce any term of these Official Rules shall not constitute a waiver of that provision. The Contest Entities reserve the right to terminate, cancel, suspend and/or modify the Contest if any fraud, virus or other technical problem corrupts the administration, security, or proper play of the Contest, as determined by any of the Contest Entities in its sole discretion. In such event, the Contest Entities reserve the right to award the prize to the entrant whose submission has received the highest average and most number of ratings at the time of the impairment. Only the stated number of prizes will be awarded. In no event will more prizes be awarded than those listed in Rule #3. In the event of a dispute as to the identity of an online entrant, the online entry in question will be deemed submitted by the authorized account holder of the e-mail. The authorized account holder shall be the natural person to whom the applicable email address has been assigned by the Internet access provider, service provider, or other online organization responsible for assigning e-mail addresses for the domain associated with the submitted e-mail address. A Potential Winner may be requested to provide the Sponsor with proof that the Potential Winner is the authorized account holder of the e-mail address associated with the winning entry. All entries become the property of Neon Rated LLC and its subsidiary companies and will not be acknowledged or returned. Contest Entities and each of their officers, directors, affiliates, related entities, partners, partnerships, principals, representatives, agents, licensees, sponsors, successors and assigns (i) make no warranty, guaranty or representation of any kind concerning any prize, (ii) disclaim any implied warranty, and (iii) are not liable for injury, loss, or damage of any kind resulting from the acceptance or use of any prize, travel related thereto or from participation in this contest. 6. TAX INFORMATION: All federal, state, local, and other taxes on prizes are the sole responsibility of the applicable winner. 7. DISPUTES: Except where prohibited, all issues and questions concerning the construction, validity, interpretation and enforceability of these Official Rules, or the rights and obligations of the entrant and the Contest Entities in connection with the Contest, shall be governed by, and construed in accordance with, the laws of the State of Texas, without giving effect to any choice of law or conflict of law rules (whether of the Commonwealth of Virginia, or any other jurisdiction), which would cause the application of the laws of any jurisdiction other than the State of Texas. Entrant agrees to indemnify Sponsor for all claims brought by third parties in connection with Contest Entry Material.